WEN launched its Environmenstrual Campaign in April of this year under the hashtag #PeriodsWithoutPlastic. The campaign is raising awareness of plastic in disposable menstrual products – which can contain up to 90% plastic! With half of UK women flushing tampons away, it has been estimated that 1.5-2 billion menstrual items are flushed down Britain’s toilets each year, leading to major blockages, such as the infamous Whitechapel Fatberg and to menstrual products ending up in seas, rivers and on beaches. The crowdfunder, which launched in May, is aiming to raise £10,000, to enable WEN to roll out a period education programme in schools and universities, which will raise these issues as well as informing participants of reusable and organic menstrual products options. 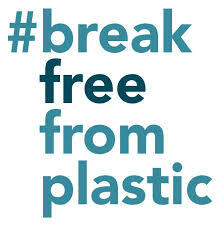 Plastic can take up to a thousand years to decompose in landfill or in the ocean. As many as 51 trillion microplastic particles - 500 times more than the stars in our galaxy —litter our oceans and seas, seriously threatening marine wildlife. Microplastics can be twice as harmful leaching toxic additives into the ocean while they break down while also acting like a sponge absorbing other harmful chemicals from the sea water onto their surface. This makes them a very toxic morsel for fish, sea mammals and the humans that eat them. Menstrual items that are not disposed of correctly and are flushed down our sewers can also cause blockages. We discovered that half of UK women flush tampons away and it has been estimated that 1.5-2 billion menstrual items are flushed down Britain’s toilets each year. Menstrual waste is now edging up the agenda, with the GLA Environmental Committee set to publish a report on the issue later this year along with disposable nappies. We want to shine a light on how menstrual products can be harmful to women’s health. The chlorine bleaching of wood pulp for menstrual products produces dioxins, a known human carcinogen, and highly toxic environmental pollutant with serious health implications. WEN’s first campaign persuaded manufacturers to change the bleaching method: they now use either chlorine dioxide or hydrogen peroxide which produces less dioxin. Despite these changes in bleaching practices even small amounts in menstrual products can add up over a lifetime of use. Traces of pesticides and insecticides have also been found in tampons. The cost of a period over a lifetime adds up to approximately £18,000. A study by Plan International UK, from a survey of 1000 14 - 21 year olds, found that 10% of girls could not afford menstrual products. The study also found that 12% of girls had to improvise menstrual wear due to affordability issues and 14% had to ask to borrow menstrual products from a friend. Some pupils report ‘taping toilet paper’ and ‘wrapping socks’ around their underwear, as low incomes mean that they couldn’t afford menstrual products. Currently many schools and universities use menstrual education toolkits and samples from the major mainstream manufacturers of menstrual products. WEN has been contacted by parents concerned that these sessions are in fact marketing ploys by huge commercial enterprises and do not give a balanced education. WEN is also coordinating a coalition of organisations who are concerned about the environmental impact of menstrual products. To date Thames Water and Friends of the Earth have joined together with businesses such as Natracare, DivaCup and period poverty organisation, Bloody Good Period. Ella Daish from Eco Elle, who recently started a change.org petition to demand that menstrual product manufacturers ditch the plastic, is also a member. The coalition will be coming together in a Week of Action in October this year, with nationwide events and a WEN Forum event hosted by Caroline Russell, Chair and Leonie Cooper, Deputy Chair of the GLA Environment Committee, at City Hall in London on the 19th October. Menstrual products are a necessity and they need to be safe, sustainably produced and affordable. An estimated 1.8 million women in the UK use 25 or more menstrual towels a month which can add up to more than 11,000 disposable menstrual products in their lifetime. That’s a lot of unnecessary plastic that can take up to a thousand years to decompose in landfill or in the ocean. Want to know more about the campaign? Want to get involved in the campaign? Want to make a pledge?